Water pump issue for Toyota Prius | What Car? Toyota has begun what it calls a 'customer satisfaction campaign' to replace the water pump on certain Prius vehicles. Toyota says it's not a recall and the potential issue does not represent a safety risk. 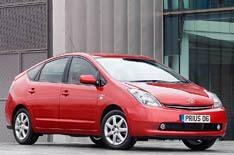 The campaign affects Prius models produced between August 2003 and May 2007. Approximately 15,500 UK registered vehicles are affected. Toyota says the water pump could cause the vehicle to lose power, the temperature of the coolant could become high and the Malfunction Indicator Light come on. The vehicle is still safe to drive, insists Toyota. To fix the potential problem, Toyota will install a new water pump at no cost to the customer.